ADR Mobility, part of the ADR Group, have signed a new partnership with ParkCloud that will allow passengers to book a parking space directly from participating airports. The ADR group manages more than 11,000 parking spaces across the two airports in Rome - Leonardo da Vinci in Rome-Fiumicino and Giovan Battista Pastine in Rome-Ciampino. Current airport collaborators include Brussels Airlines, AirBaltic, Aegean Airlines, Wizz Air and Vueling in Fiumicino and Wizz Air in Ciampino. In terms of services offered to passengers, the airport in the Capital has reached the highest approval rating among travellers for the quality provided, according to the global ranking of ACI (Airports Council International), the international association that monitors and certifies passenger satisfaction in more than 250 airports around the world. 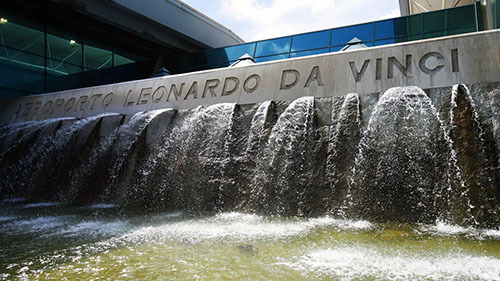 In 2016, ACI awarded Leonardo da Vinci second place in the European Union after Heathrow, surpassing the main European competitors including Madrid, Paris, Frankfurt and Amsterdam. Passengers particularly appreciate the cleanliness of the airport, the efficiency and speed of passport control, free Wi-Fi, and the courtesy of the staff. If you are interested in finding out more or setting up a meeting, ParkCloud will be at these events in Autumn.